Eric McCormack is best known for his Emmy-winning portrayal of Will Truman in NBC's hit sitcom Will and Grace and for his latest TNT crime drama Perception. He has also appeared on Broadway and is an avid musician. On June 1 he will join Joan Ryan in her new show On the Edge at Catalina Jazz Club. In our chat he talks about Joan Ryan, the show and his musical career. Many folks do not realize that Eric McCormack can sing. Did music come first in your professional development? If not, how important was it to you? I did my first musical in 4th grade, as Huck Finn. By 11th grade I was starring in Godspell and Pippin and pretending to be “Che” in Evita in my bedroom. Singing has always been a huge part of me. What are your musical tastes? Schizophrenic, to say the least. When I was 16, I’d ping pong between AC/DC and Barry Manilow without any sense of irony. If we’re karaoke-ing, I’m as likely to do Aerosmith as I am Sweeney Todd. Do you have a favorite singer? Composer? Broadway show? How much time ya got? Freddie Mercury, Elton John, Billy Joel, Pete Townsend and Roger Daltry, Burton Cummings, Elvis Costello; they're the singers I emulate to this day. Show-wise, I love Little Shop and Big River, Avenue Q and Spring Awakening. And I’m still waiting for that Frank n’ Furter offer… if they don’t give it to Neil Patrick Harris first. I always take advantage of opportunities like this to do songs on my Bucket List. As soon as Joan called, I said, “Let’s do “Suddenly Seymour”!” I’ll never get to play the role, but I love that song. Joanie wanted me to do something solo, too. Last fall, I did a musical show of my own in LA called The Concert I Never Gave (except for, like, 2000 times in my bedroom), is a sadly accurate title. It was a really fun evening of songs I’ve always wanted to do and stories from the last 15 crazy years of my life. The last song in the show is one Burton Cummings made famous (in Canada, at least) called “Dream of a Child”, which is as good a song as I’ve ever heard about growing up and making your dreams come true. I’m doing that one for Joanie’s audience. What is your association to Joan Ryan? Our kids go to the same school, and we met singing at a couple of the fundraisers. She’s an amazing performer and I can’t wait to see this fancy award-winning show of hers! 2013 BWW Award winner for Best Female Cabaret Artist, Joan Ryan will perform her acclaimed night club show On the Edge on Sunday June 1 at Catalina Jazz Club with special guest star Eric McCormack. The show will benefit The Trevor Project. In our chat, Ryan discusses the show, her music and theatrical career. Joan, you have had a wonderful singing career in LA for many years. Talk about this in detail, including shows you have done. Thank you. You know, I love Los Angeles theater and I've been pretty lucky to get to do some wonderful roles. My first show in Los Angeles was in Angry Housewives. I played Jetta, a mousy housewife who joins a punk band whose breakout number is "Eat Your Fu@$#NG Cornflakes" while throwing cornflakes on the audience. Then I got to do Niteclub Confidential with Scott Bakula, where I played a mousy club singer, who turns into a gutsy star. There was certainly a pattern. Then, one of my favorite roles, Audrey in Little Shop Of Horrors, Joseph and the ..…Footloose and so many more. I love roles where I really get to sing and that have lots of heart. It was also very exciting to get to do Leonard Bernstien's " The Mass" at the Hollywood Bowl, and of course, Judy Denmark/Ginger Del Marco in Ruthless! Let's expand on Ruthless, if you would. Ruthless was the catalyst to jumpstart my career and visibility. It was also a very exciting experience to be in that kind of a cult hit with such a fantastic cast and director. But, boy, was it a demanding role.I will never forget that when the director Joel Paley told me I had the role, he said "Don't come crying to me when you see how hard it is"! The original LA cast is ready for a reunion, and we can all still fit in the costumes, except Lindsay Ridgeway who played Tina..she is taller than me! Both Ruthless and Angry Housewives led to television roles. Angry Housewives led to my role as Tina Pallodrino on Saved By The Bell (my first tv series) and Ruthless to a two year stint as everyone's favorite psychiatrist, Kathleen Houghton on The Young And The Restless. I also loved that I got to record the Ruthless album. That was a thrill. You have won numerous awards, including BWW's Favorite Female Cabaret Artist for 20013. How does that feel? Amazing…grateful and I'm really happy! This show was a real stretch for me, and I put my trust in Andrew MacBean, my director, to go in a very different direction. It wasn't a safe direction for me, certainly not in my comfort zone, for sure, so it was great to see that it paid off with our reviews and awards. So yes, did I say AMAZING!!! How was performing at 54 Below? Was that your very first New York experience? May I say here and now, I absolutely love and treasure New York. I don't mean to sound trite, but the minute I step off the plane in New York, I am immediately happy. I have felt that ever since I was a little girl, when my mom would take me to see Broadway shows every year. I have always felt that I belonged more on the East Coast than the West, and I now find myself going back and forth between the two cities way more often. 54 Below was a fantastic experience. I love the room and the people that run it. It was so exciting!It was scary at first, because coming from LA, I wasn't sure how my show would be received, but after I sang my opening number, my fears were put to rest. The audience was so smart and got every musical reference. I had a ball and can't wait to go back. Tell me about the film that you are in that was recently released. The film is called Hot Guys With Guns and was a fantastic experience to do. Hot Guys is a really funny heist movie a la Moonlighting or Lethal Weapon. The difference is that the leads are gay.I got to play Patricia, the overbearing,oversexed, coke snorting, ecstacy loving mom to one of the leads, Brian McArdle. Totally inappropriate, totally fun. I loved our director, Doug Spearman. He really gave us a lot of room and was known to let the camera keep rolling more than once to see what we would do. It was sure hard not to laugh as we were shooting. Tell our readers a little about the Joan Ryan Show that they will see on June 1 at Catalina. First and foremost, it's a really entertaining one! It's autobiographical and yet, it has so many relatable themes. It tells a story, from beginning to end. We have chosen every song for the story, not the other way around. As I said, very different than what I'm used to! There are parts of the show that I am not really sure what's going to happen, so it keeps me on my toes. And let's talk about Eric McCormack! He is so talented, sings great and is so funny. I am really thrilled to have him in the show. I am also very honored to be raising money for The Trevor Project with this evening. It's an organization that is doing amazing work. Who are your favorite singers? Rodgers & Hammerstein, Sondheim, Schwartz, Bernstein, Jason Robert Brown…the usual! My mom has four kids and whenever we ask her who her favorite is, she says "Whoever I'm with at the time" That's pretty much how I feel about Broadway musicals. Good ones, anyway. It's so hard to choose. Little Night Music, Aida, Sunday in the Park, Sweet Charity,West Side Story, the list is endless! Do you have a mentor or mentors who have meant a lot to you over the years? I've been blessed to have worked with so many talented directors. And I learn so much from all of them. Michael Chapman, directed my very first club act in the 80s, and what I've learned from him I use to this day. Joel Paley, Andrew MacBean, Doug Spearman the list goes on and on. What is your very favorite kind of music? Why? Well, show tunes, of course! Because they make me feel, make me sing, make me happy. HOW THE KINGDOM OF BHUTAN CHANGED MY LIFE! "Bhutan is a country?" Almost no one knows the answer is "yes". Or, that it is firmly landlocked between India, Tibet, Nepal and China, perched high in the stormy Himalayan Mountains. Or, that it has that the only Capital in the world that bans traffic lights. Or, where everyone has the same birthday (officially, the day after New Years Day. This way, no one forgets anyone’s birthday). Or, that it was the first country in the world to ban the production and sales of tobacco. Or, that it was the last country in the world to get television in 1999. In this splendidly quixotic land, Bhutanese Director Karma Deki wanted to make a movie that would highlight the magnificence and mystery of her country. Plucked for the role was young British actor Emrhys Cooper. The 29-year-old plays the main character Charlie in Kushuthara: Pattern of Love. Kushuthara explores the Buddhist concept of Karma and the possibility of rebirth of two persons in one lifetime to accomplish what was left unrealized in a previous life. The film is due for worldwide release later this year and tipped for an Oscar in the Best Foreign Film category at the Academy Awards. To this date, no other Western actor has ever starred in a Bhutanese Produced Film. Emrhys was advised not to take the role because of potential insurance concerns; but instead went with his gut feeling. The rising Hollywood star, who is based in Los Angeles and London, spent six weeks filming in the South Asian Himalayan country. 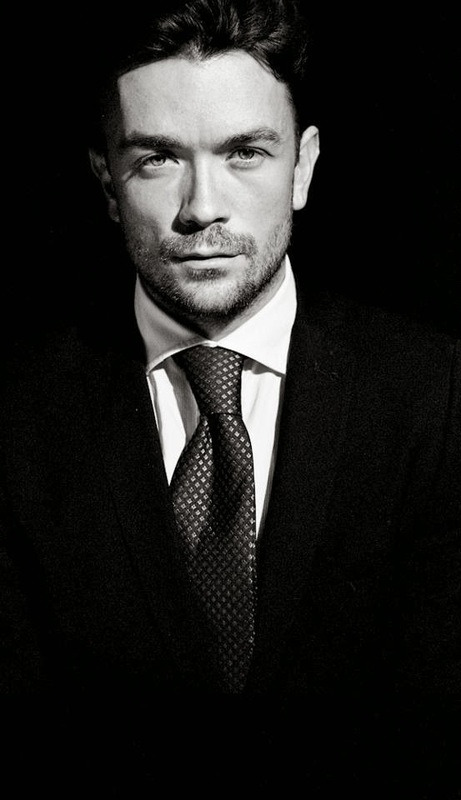 Devon-born Emrhys, who has had previous acting roles in Desperate Housewives, CSI:NY and the film musical Mamma Mia! spoke of how his view on life has changed following his experiences in the Kingdom. "Even my arrival into the country was a whirlwind national news phenomenon," said Emrhys. "It's the biggest movie they've ever made and they welcomed me with the most amazing open arms. I was on TV across the country and I was treated like an absolute superstar. It was a truly amazing yet humbling experience." Emrhys – a singer, dancer and producer – has documented his experiences in a video diary, which is being made into a TV documentary for Broadcast later in the year. He says learning about the Bhutanese culture has changed his view on life and taught him the true meaning of happiness. 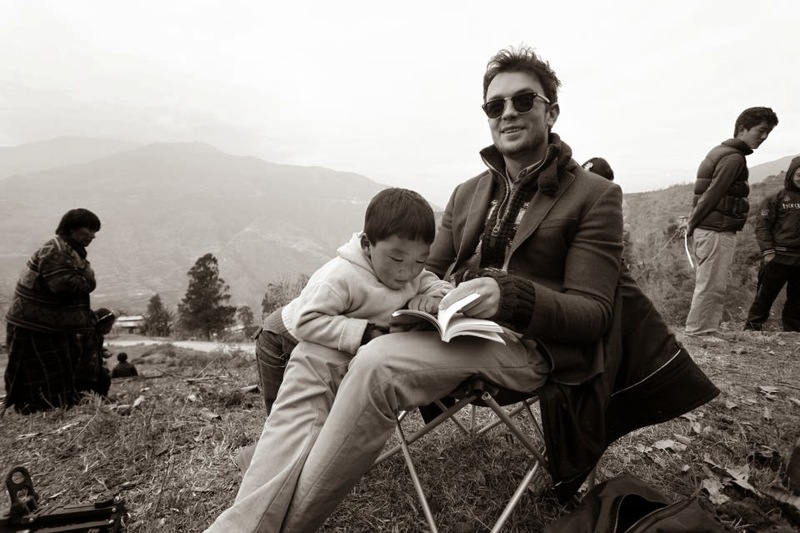 "Life in Bhutan is rich, vivacious and splendid, filled with an appreciation for home, love, family and beauty," said Emrhys. "My time there awakened me and I was completely inspired by the level of contentment and utter joy that the Bhutanese people feel within their daily lives." Three-quarters of Bhutan's 750k people are Buddhists. Buddhism seems to be the key to their Happiness. The Bhutanese are content, resigned to their fates due to their belief in Karma, they do not search for more because they feel they are given what they deserve in this life. Karma- the belief that current circumstances are a result from our past, in this or previous life. "At first, I was saddened for them by what I thought was their lack of modern conveniences that I take for granted. But what they taught me was to understand the importance of being content with living in the moment with what you have available to you; not worrying about what is to come next. Both my personal and creative lives have changed for the better by viewing my life in these terms. " "It has been an incredible journey meeting amazing people and opened a number of opportunities for me. I hope my video documentary will allow others an insight very few have ever experienced." he said. "Being chosen for a lead in a feature film is an exceptional honour for any actor. 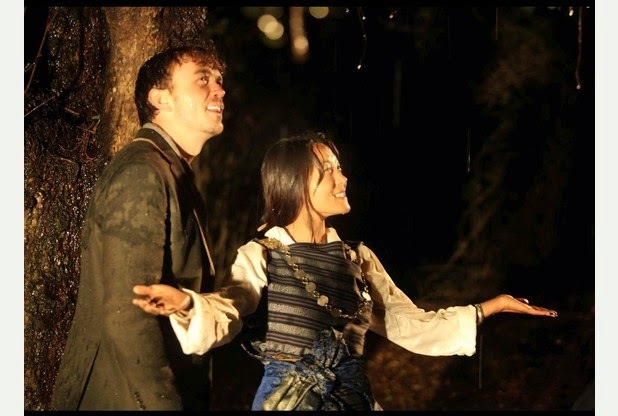 To couple that with being the first Western actor to star in a Bhutanese feature film is the highest of gifts. This honour and experience is one I will hold close to my heart and cherish forever." 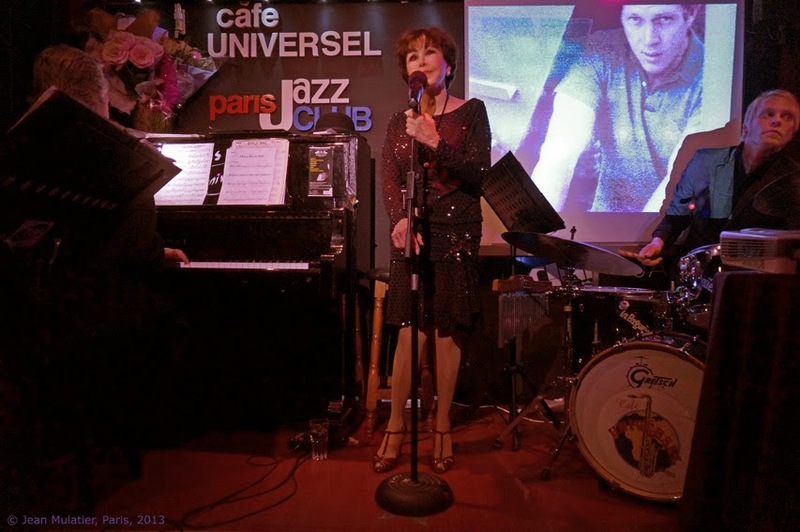 Night club entertainer extraordinaire Neile Adams will appear May 24 and 25 for two performances only at the El Portal in her acclaimed night club show, fresh from Paris, France. In our chat she talks about her fascinating background, marriage to Steve McQueen and her passion for music. Tell us briefly about how your background in the Philippines influenced your career as a dancer. My mother was a huge star in the Far East. She danced and she sang---totally untrained---but they loved her. AS I was growing up she would bring me up on stage --- when I was around 7 - 8. and I would dance with my older cousin. It was "Dancing with the Stars" type dancing but sort of infantile of course. My mother was a beautiful woman and to me she would always say ' Darling you're so cute, Work on your personality , honey." And of course, I learned the Philippine dances. I went to Catholic Schools with the nuns and when the school entertained I was always one of the dancers. My grandfather was in the Spanish-American War. When that was over he went back to Spain (he was a Spaniard and my grandmother was a German lady) and decided he wanted to go back to Manila. He loved the climate and the fact that he felt he could make a better living there as opposed to back in Spain. Unfortunately my grandfather died quite young and my grandmother died when my mother was only 13. But she and her brother somehow survived by banding together. He became the Ziegfeld of Manila and she his star. How was Paris last fall? I understand you were a great success with your act there. How so? Paris was sensational to me.They love Americans and I'm going back in November . They really do love our music. Jazz, standards and musical comedy music. They couldn't fit anymore people in the club if they wanted to and they are waiting for me according to all my emails. Did you put back stories of your past into the act? If you remember I said in my review that you should not deprive your audiences of the richness of your background. Your book on your life with Steve McQueen has been a resounding success. You gave him so much. Talk a little bit about how your life would not have been the same without him in it. Can't imagine life without Steve. He was my first love and we loved each other intensely. With him I had two children and now four grandchildren. One, Steven R. McQueen is doing very well. He's been guest starring in many shows and is a regular on "The Vampire Diaries". He plays the fourth lead as brother to Nina Dobrev. I have a grandson who is a soccer player in England. He's 19 and get this------he is 6 ft. 7 !!!!!!!!! I have two beautiful granddaughters. MGM musicals!!!! Movie dancers like Gene Kelly, Fred Astaire, Rita Hayworth, Cyd Charisse. You'll see a dance number as my opening. Choreographers Jack Cole and Bob Fosse were my idols. If I could do it all over again I would without hesitating. No matter how many injuries come my way. Tease our readers with what they can expect to see at the El Portal in a few weeks. The story of my life in song which includes childhood, roommates, motherhood, husbands, children and dare I say lovers (smile!!! ); it's me dancer, singer, actress ... with songs very rarely heard but nonetheless unforgettable. Are Kander and Ebb your favorite composers? You sing their material a lot. What do you like best about them? Their songs reach me in ways that are extraordinary. I tend to think some of them are written especially for me. It's a purely visceral thing. What do you think you bring to your act that is different from all other performers? I see a little girl inside of you, full of fun, surprises and excitement. Expand on that, if you would. I think that's up to the audience to decide. However I will say I am different in that I have a sense of humor, I'm not a pure signer but rather an actress who sings and I think the audience relates to what I say.